Welcome to this spacious 2 Bedroom 2 Bathroom unit in the Stylish Monterosso complex "Built Green" by The Pioneer Group. This is a 4th floor CORNER unit with NOBODY ABOVE YOU and steps from the elevator. Featuring an open floor plan with 9ft ceilings, wide plank laminate flooring throughout, large gourmet kitchen with quartz counters, S/S appliances and large kitchen island with bar seating. Walk out of your living room onto your large patio and enjoy a peekaboo view of the mountains. Includes one parking stall & storage locker, hot water is included in strata fee. 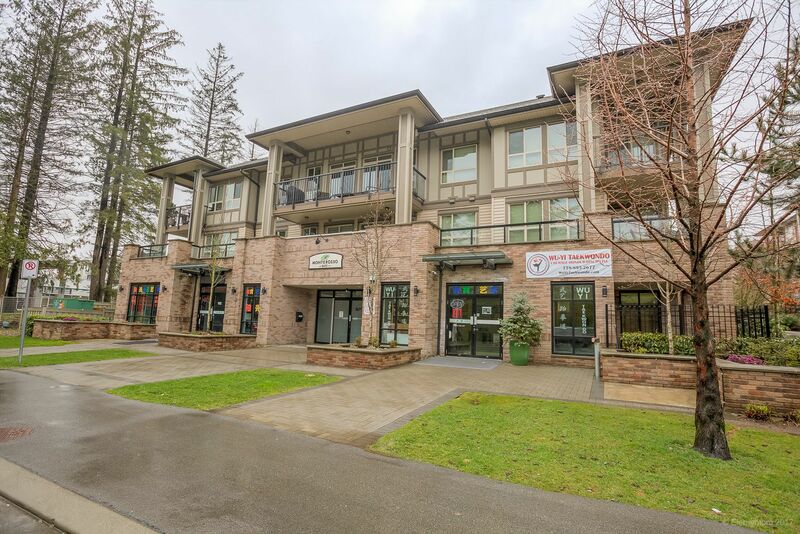 Centrally located with easy access to HWY 1, Fraser Hwy and Shopping and Recreation minutes aways. Don't miss this one, first showings Friday April 6th 5-7 pm & Open House Sat April 7th 130-430pm & Sunday April 8th 2-4:30 pm.